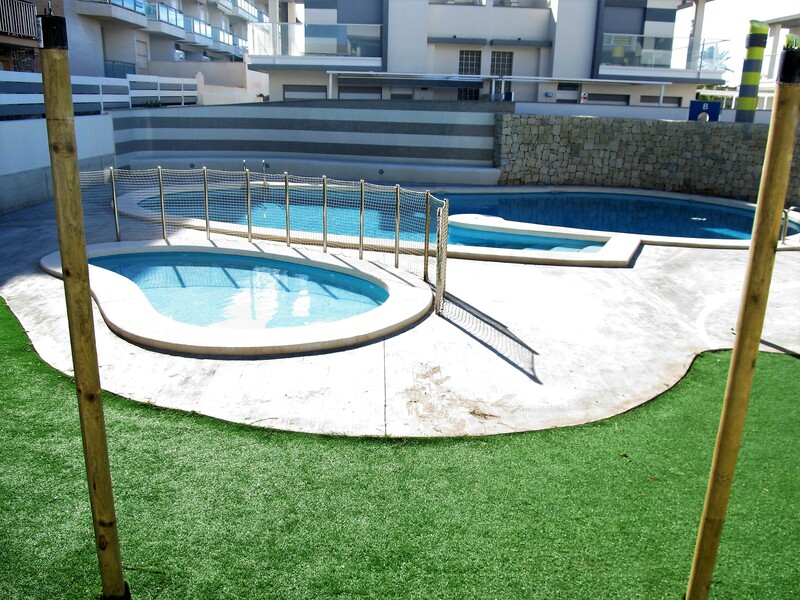 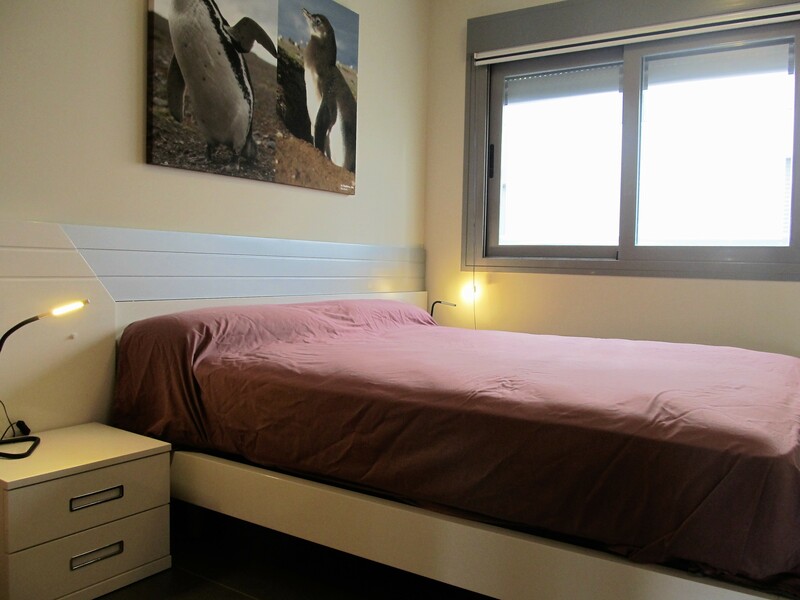 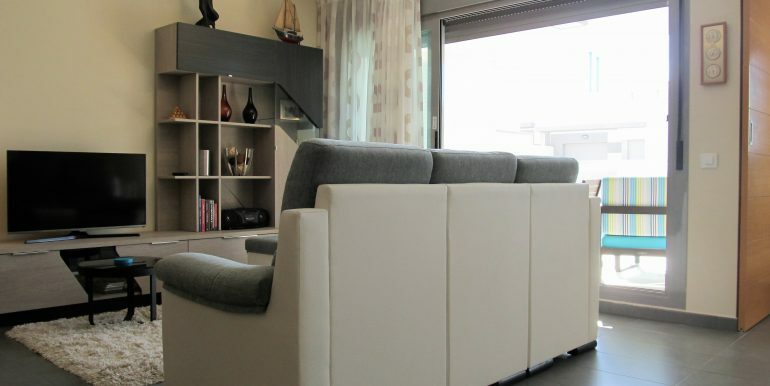 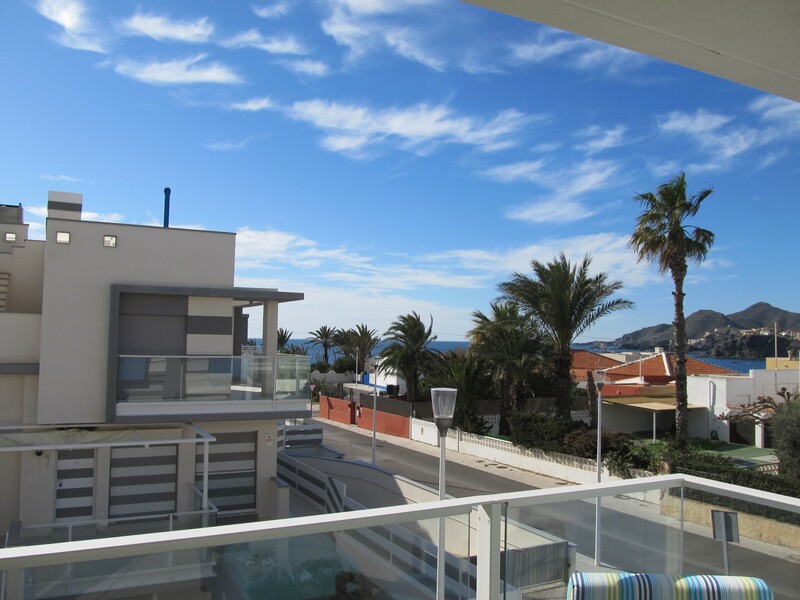 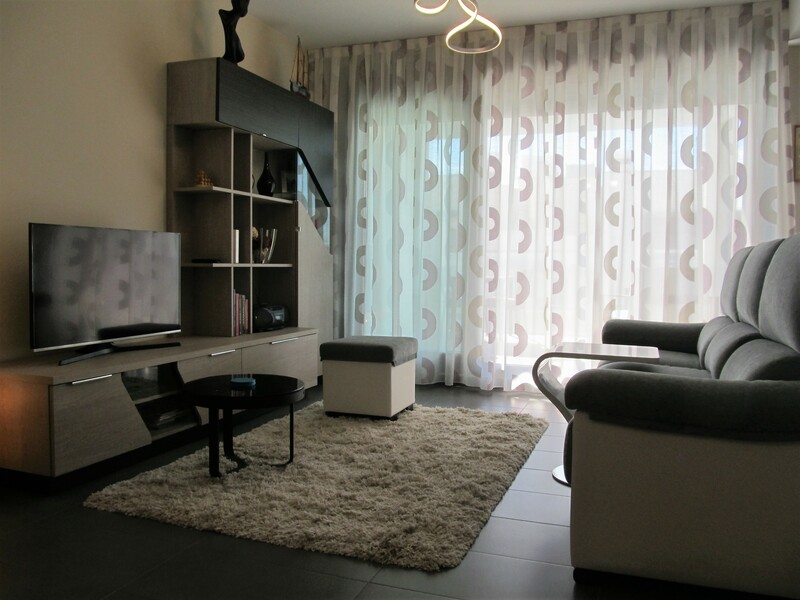 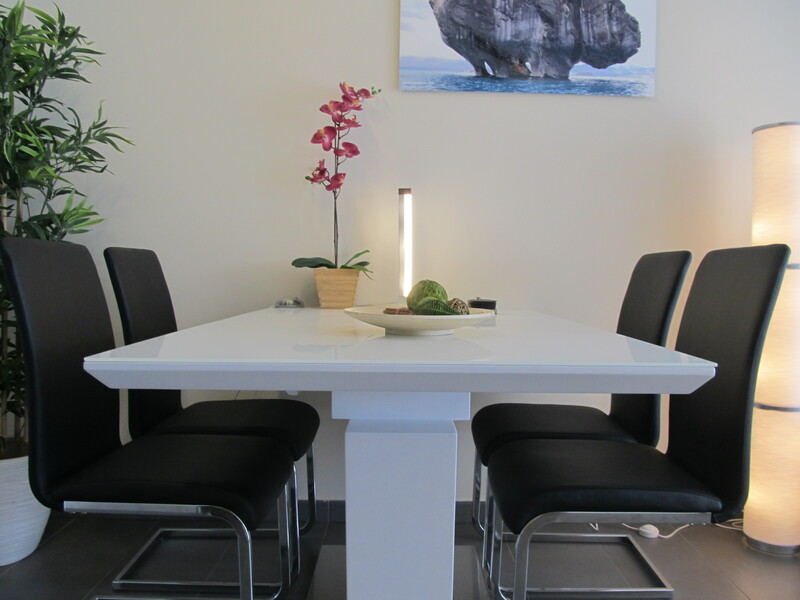 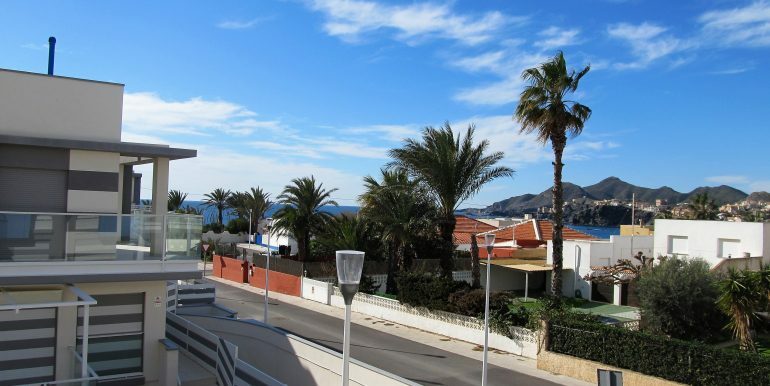 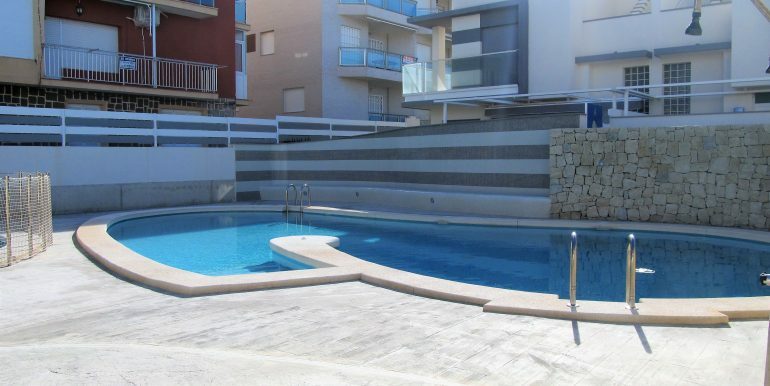 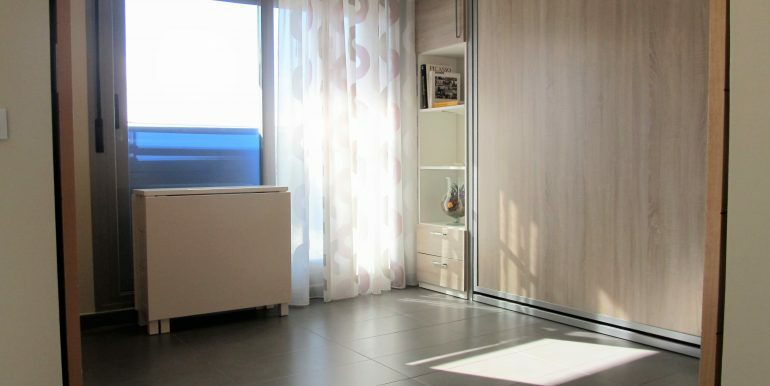 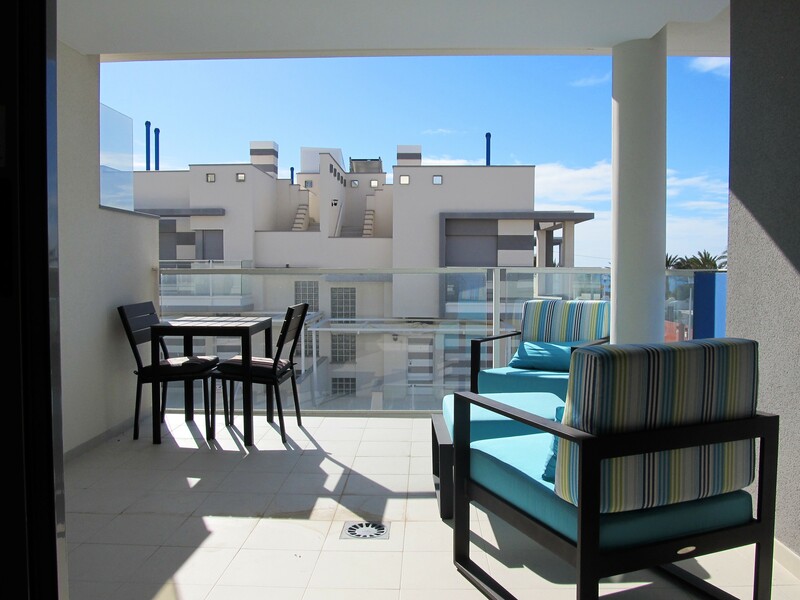 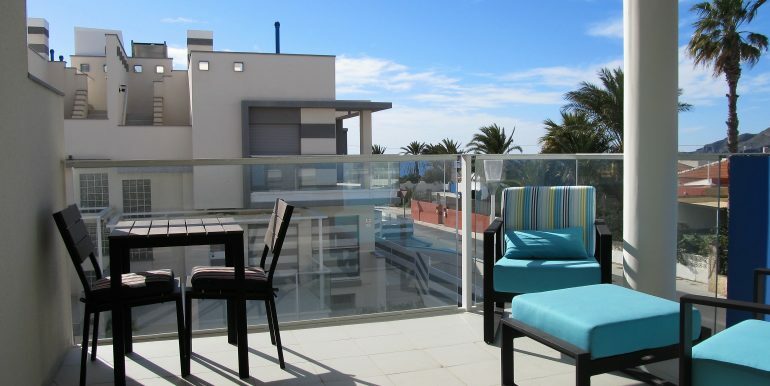 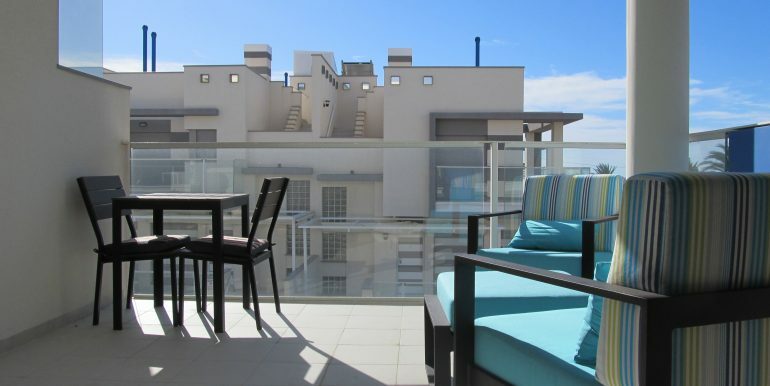 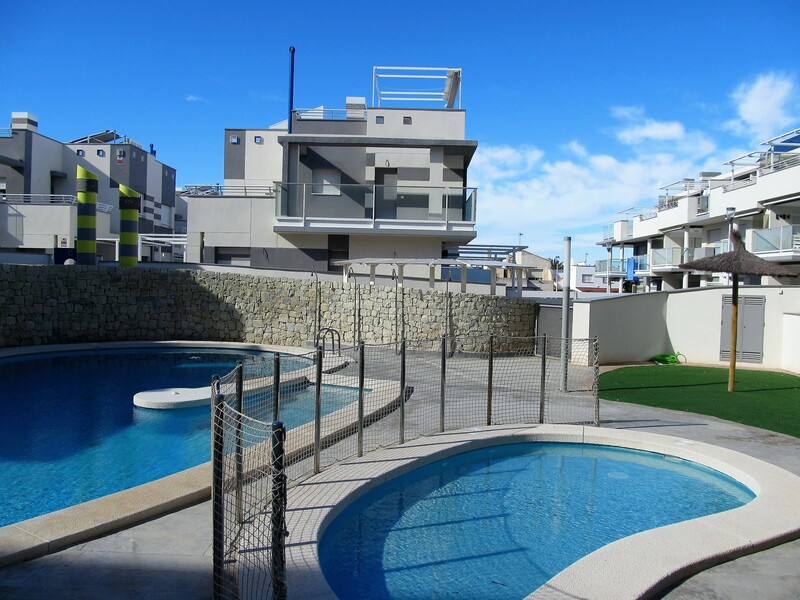 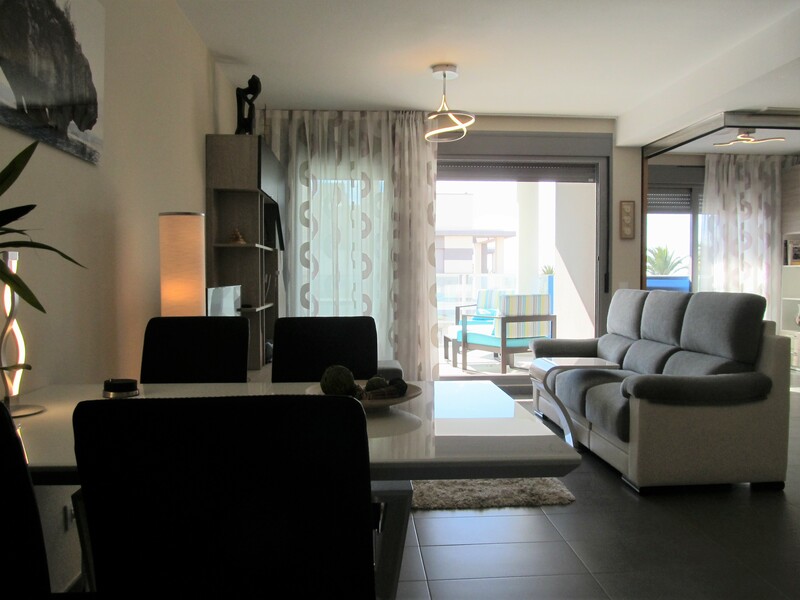 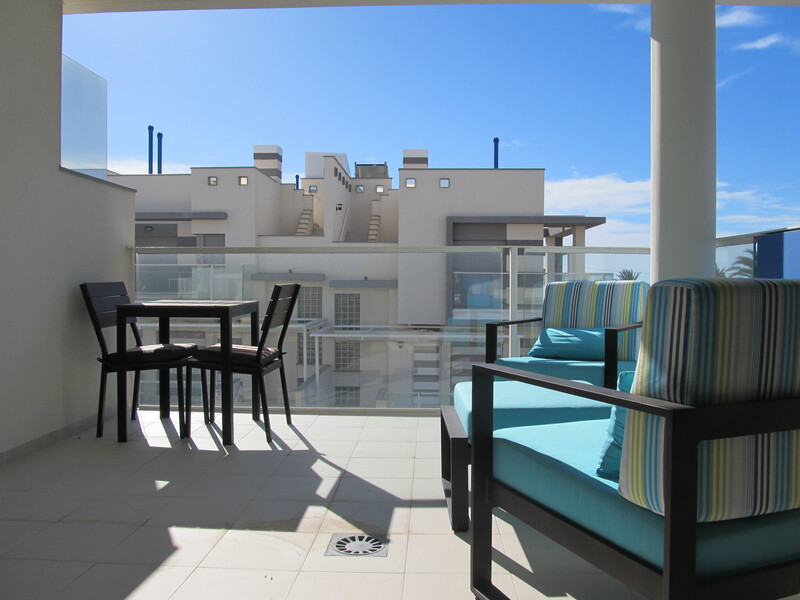 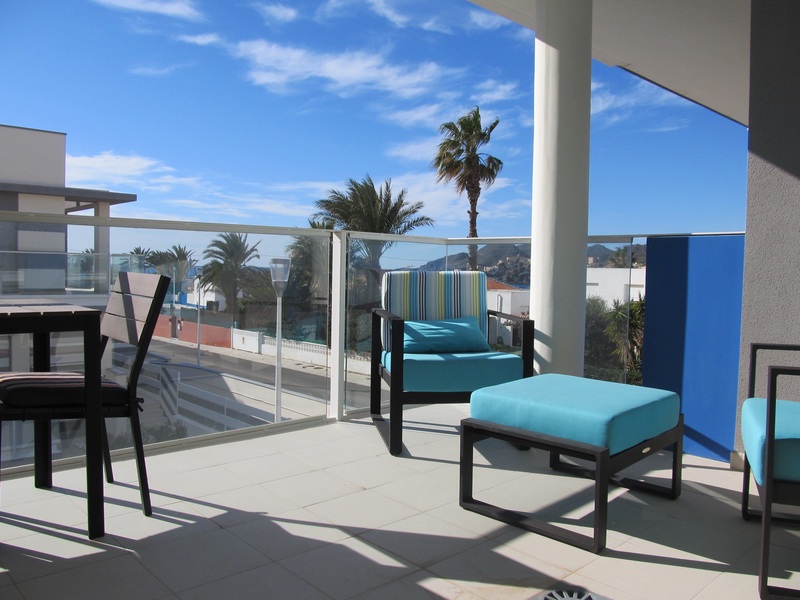 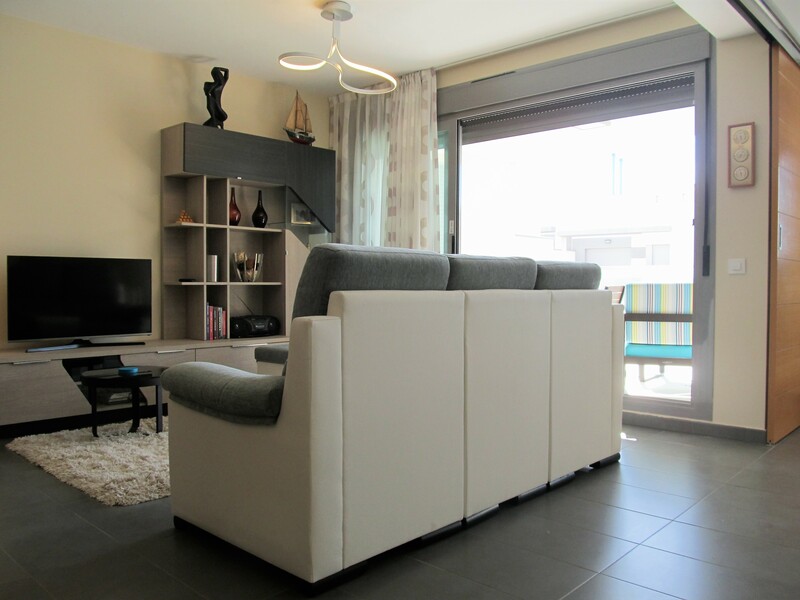 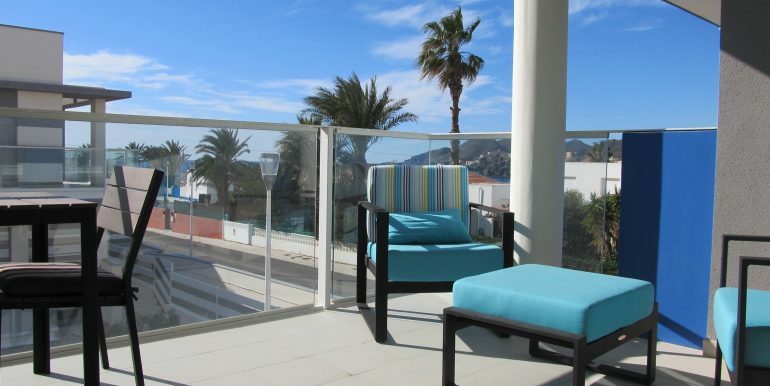 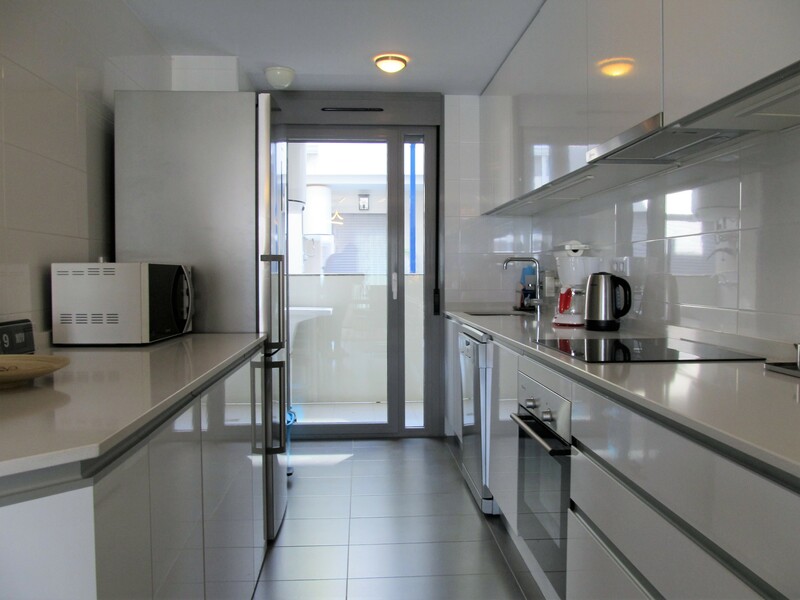 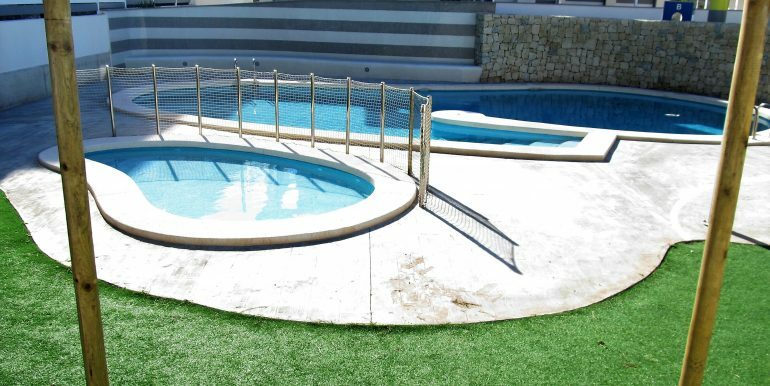 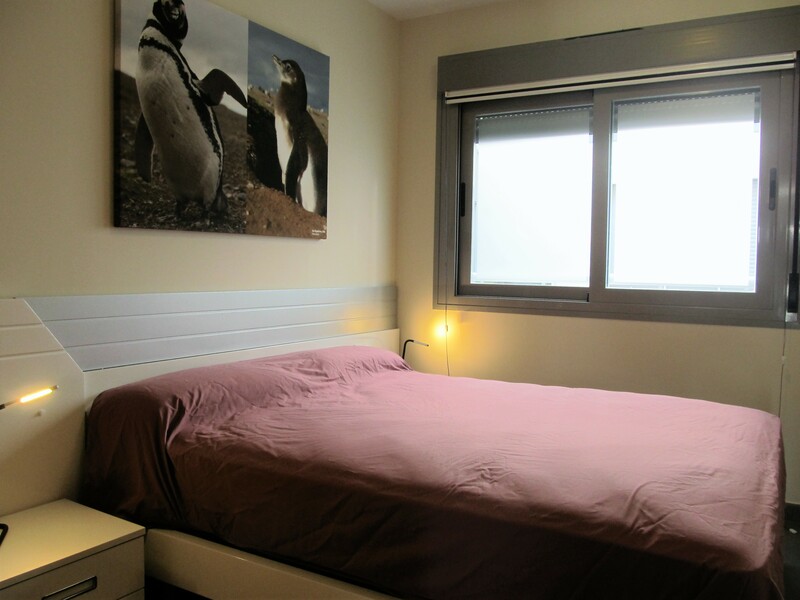 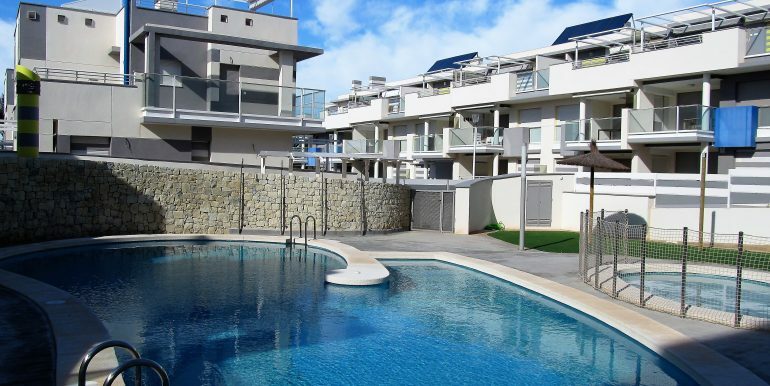 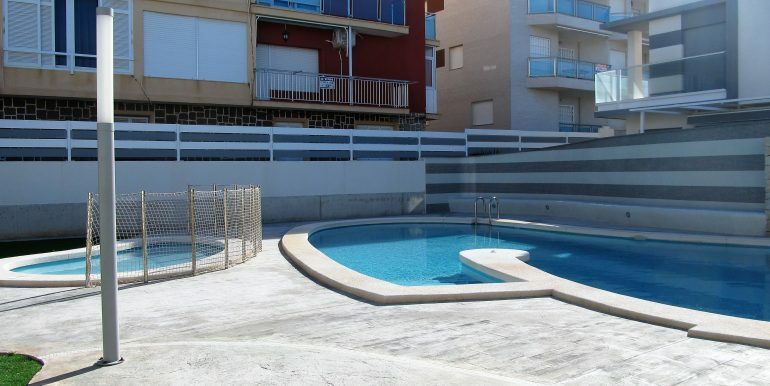 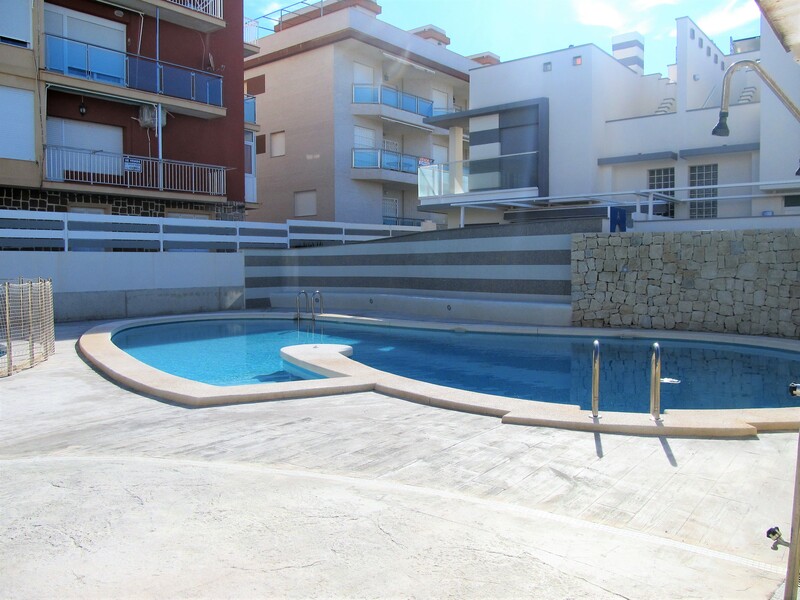 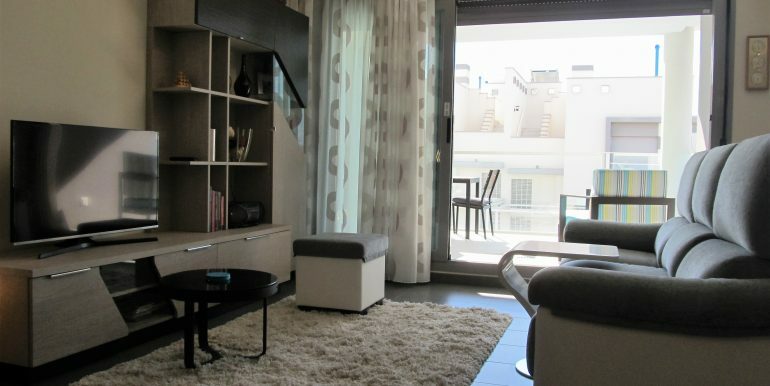 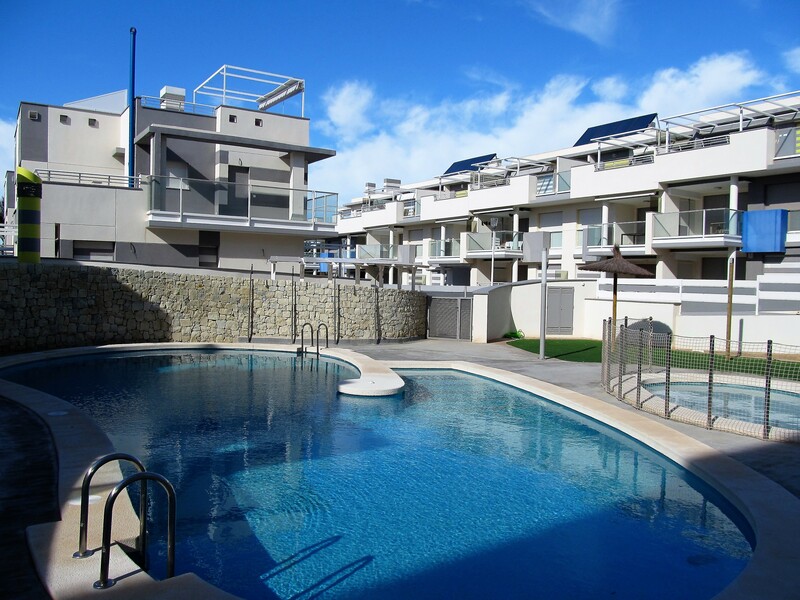 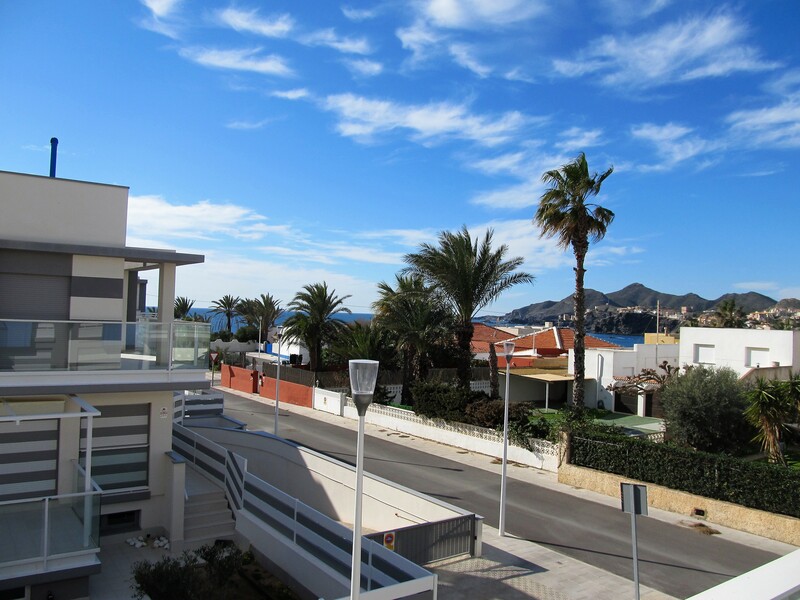 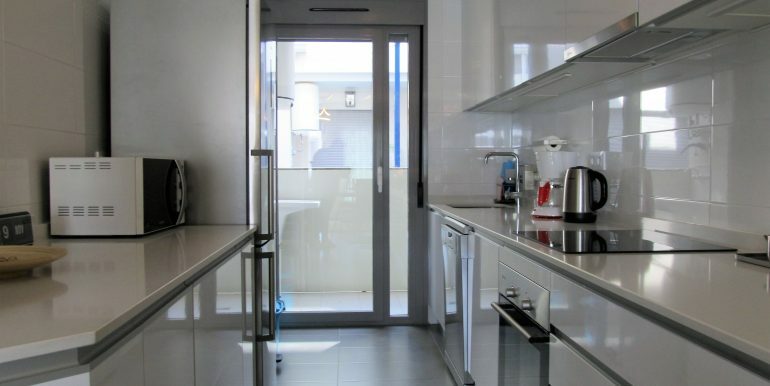 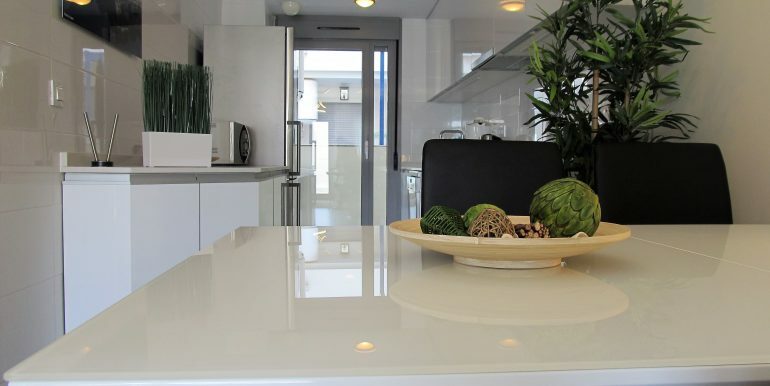 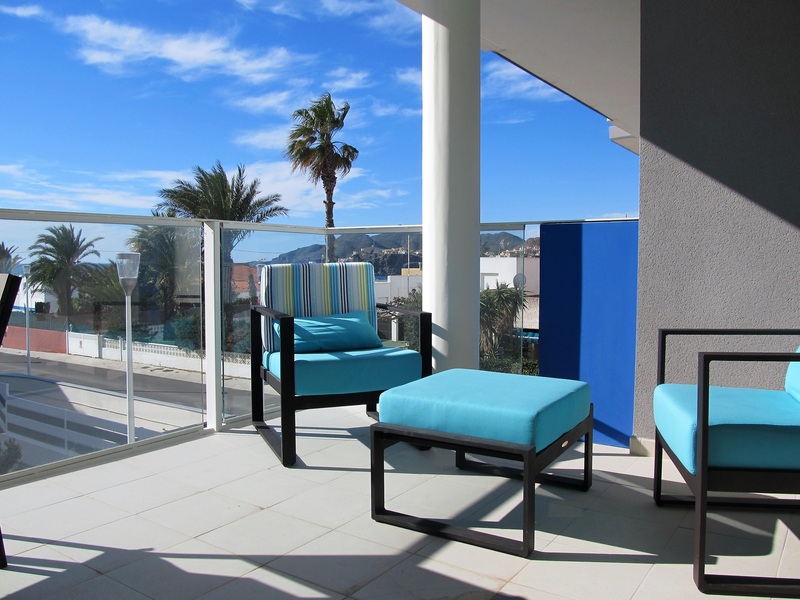 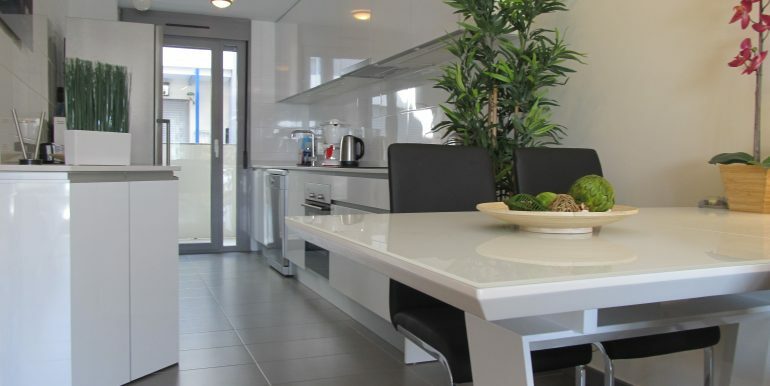 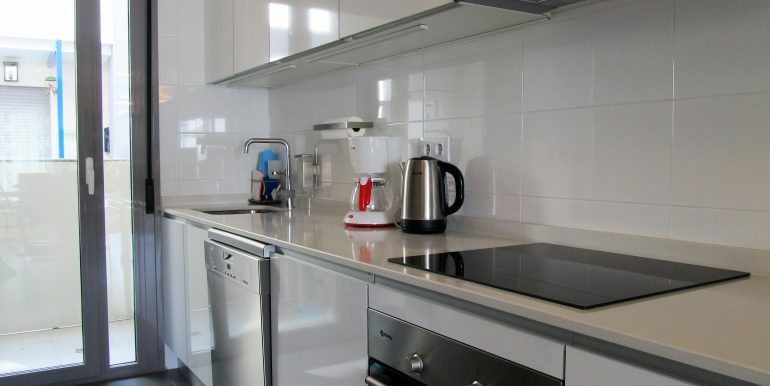 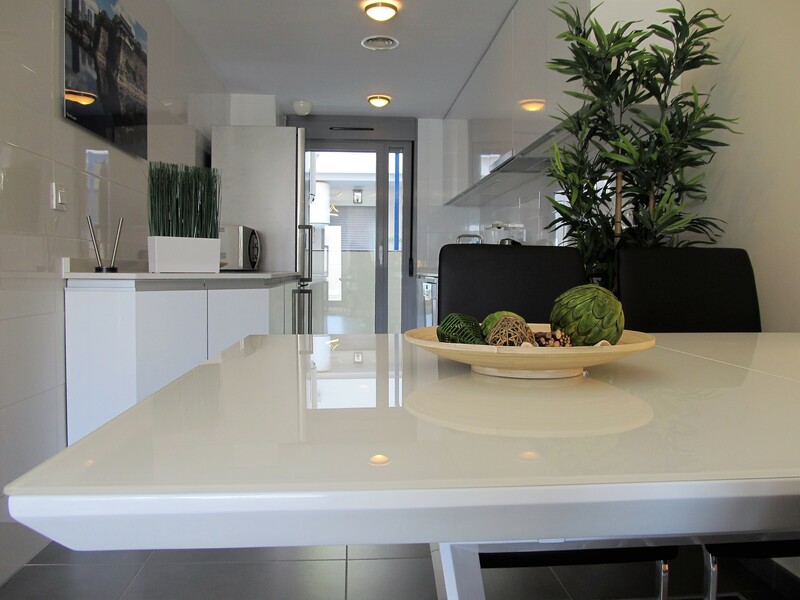 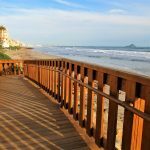 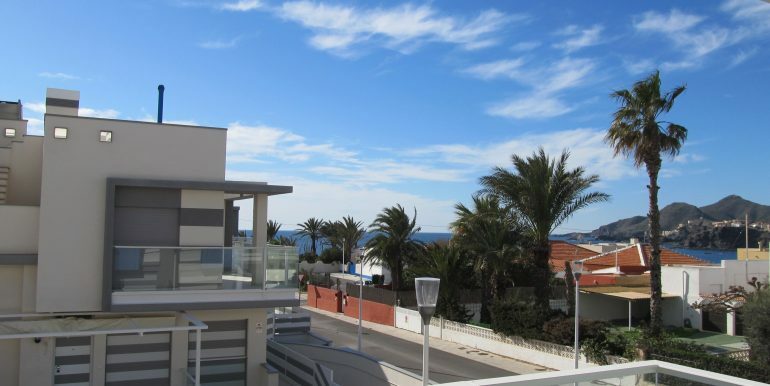 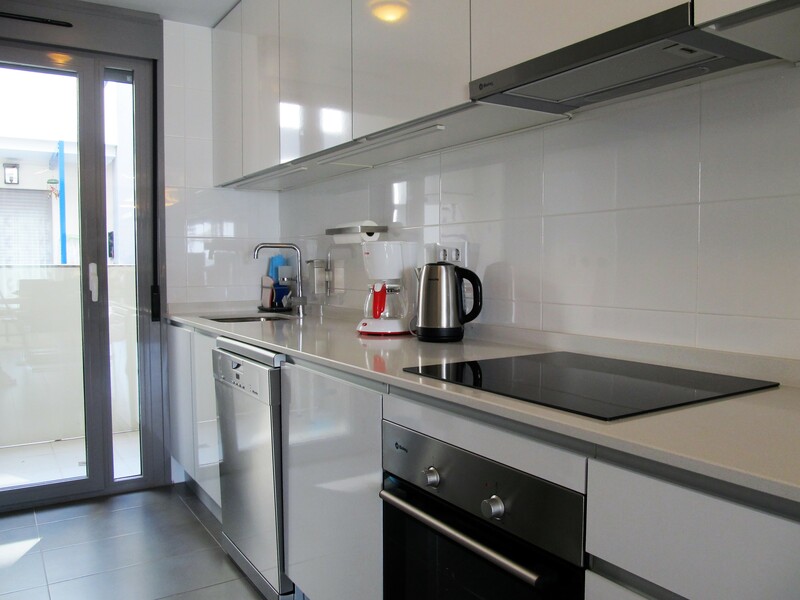 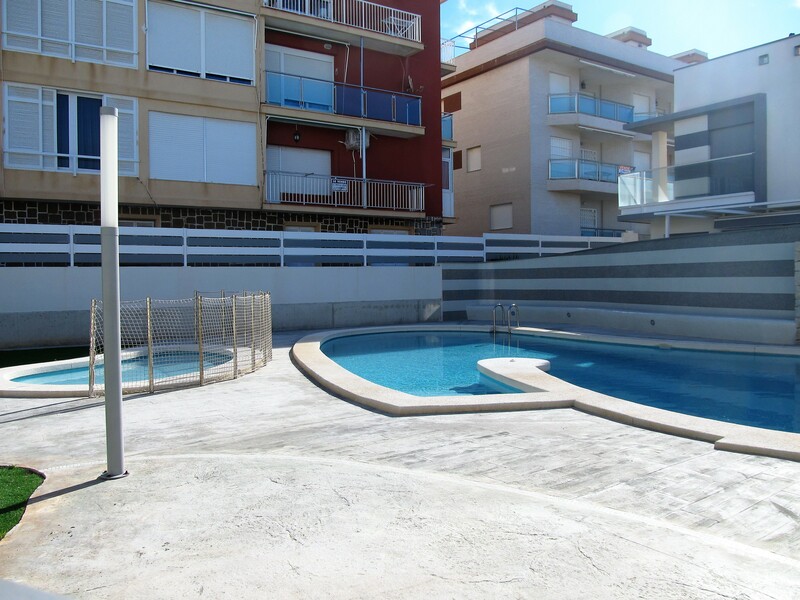 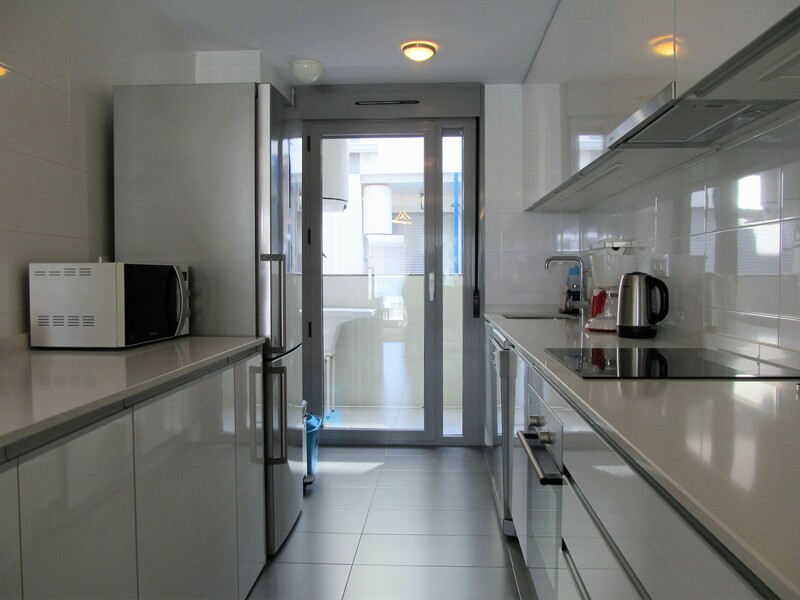 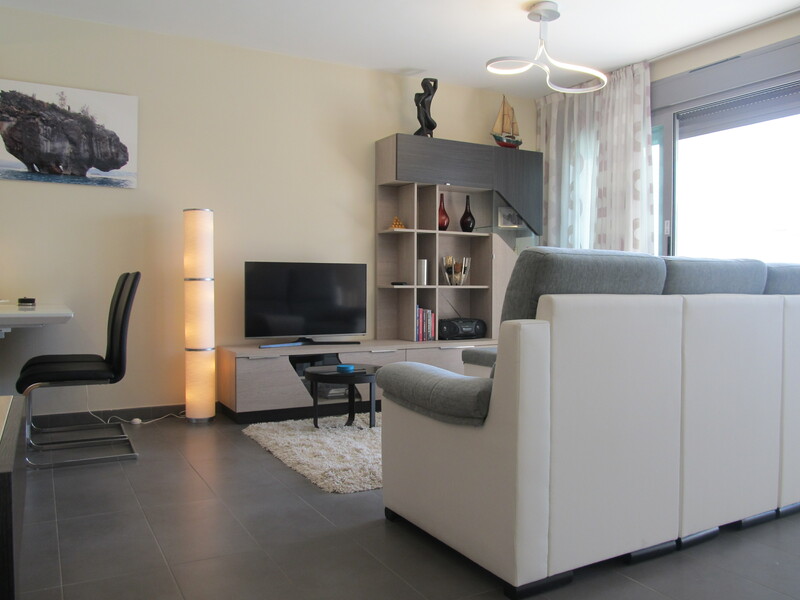 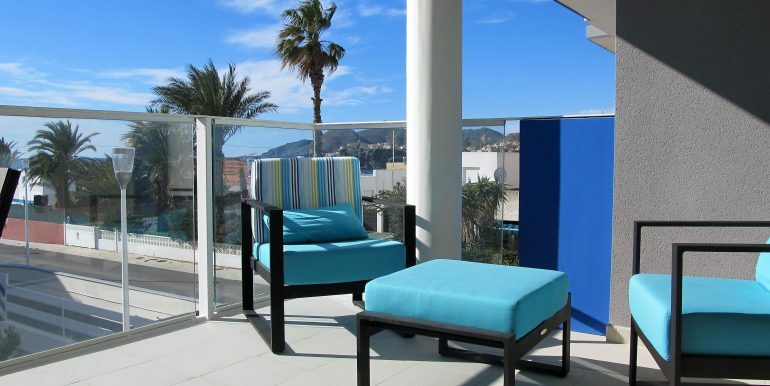 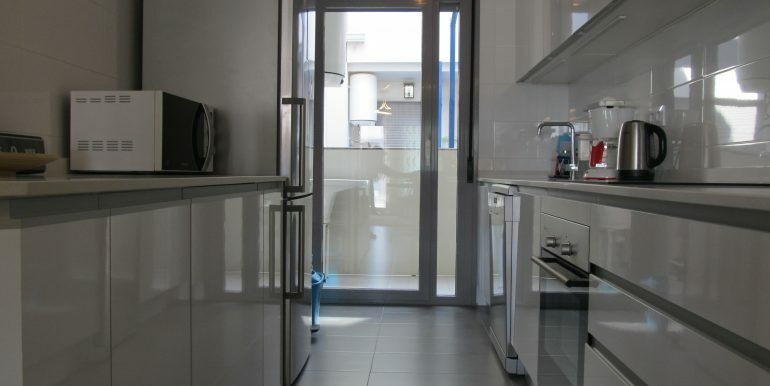 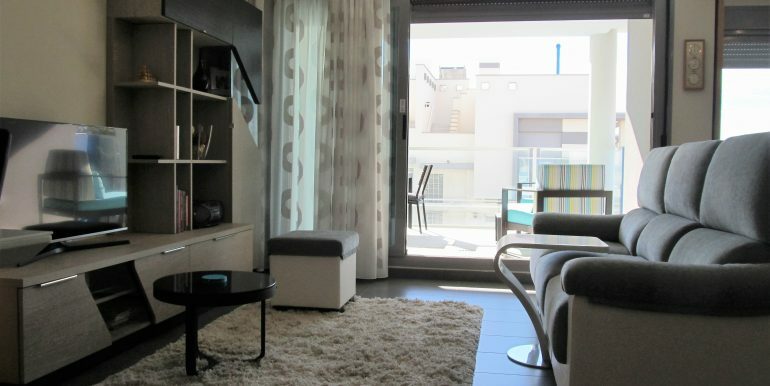 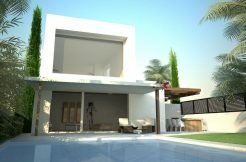 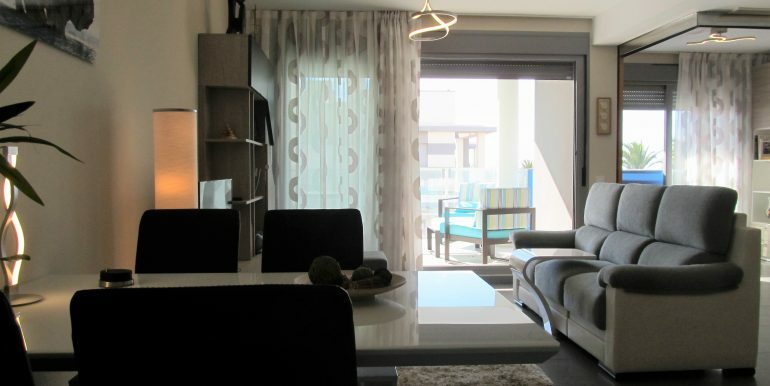 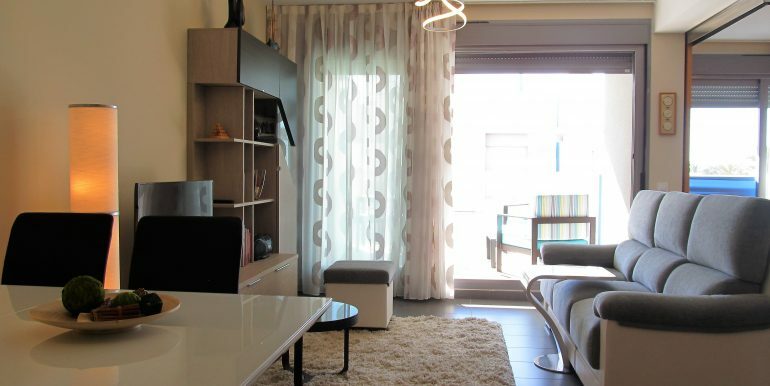 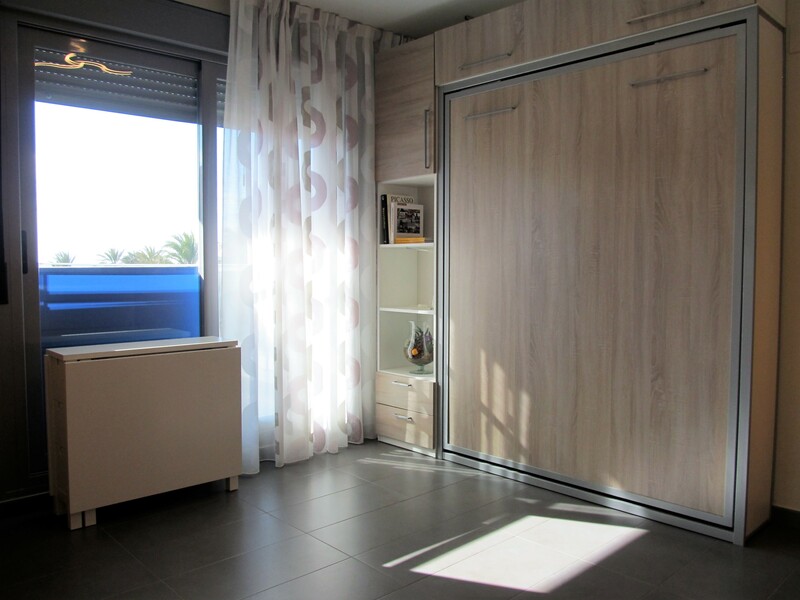 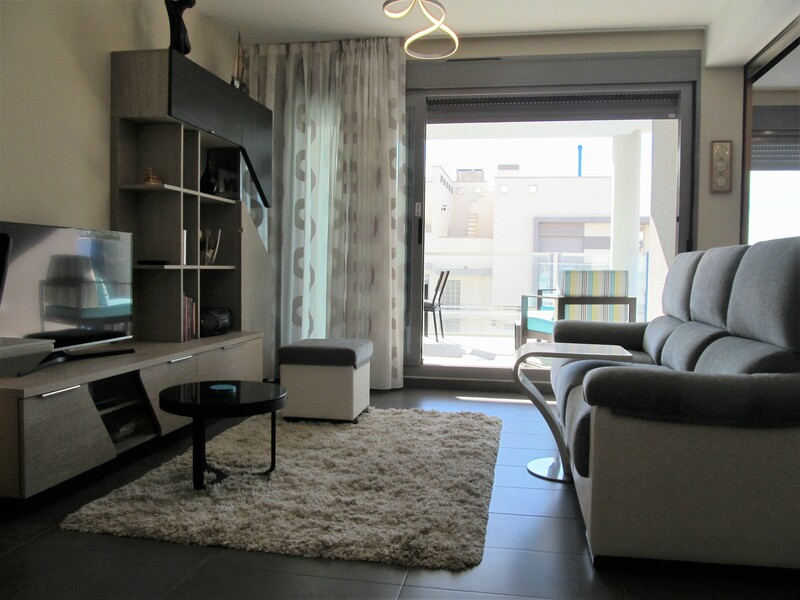 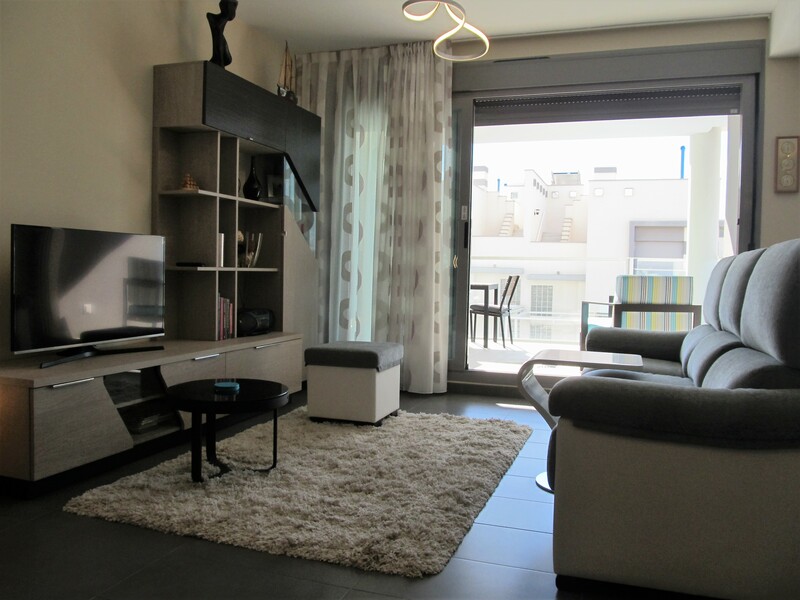 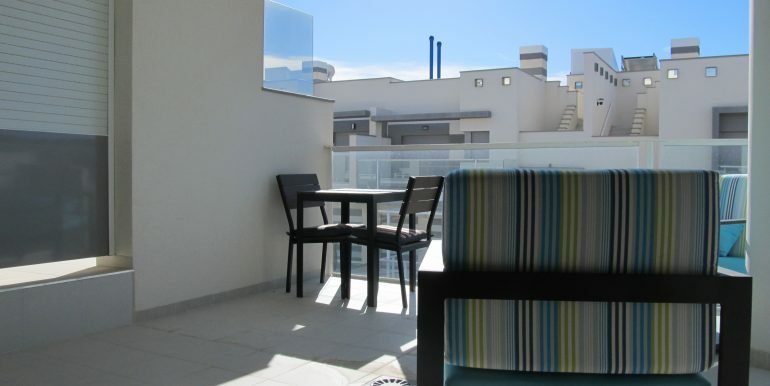 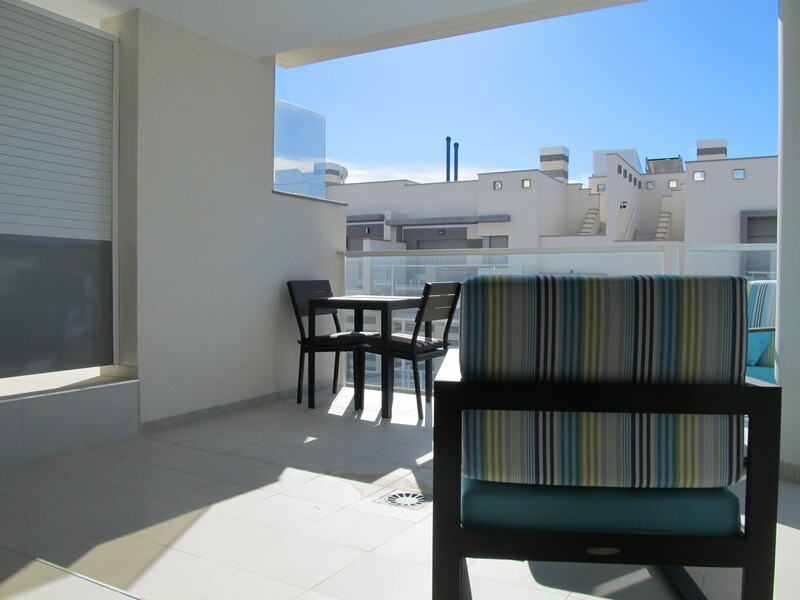 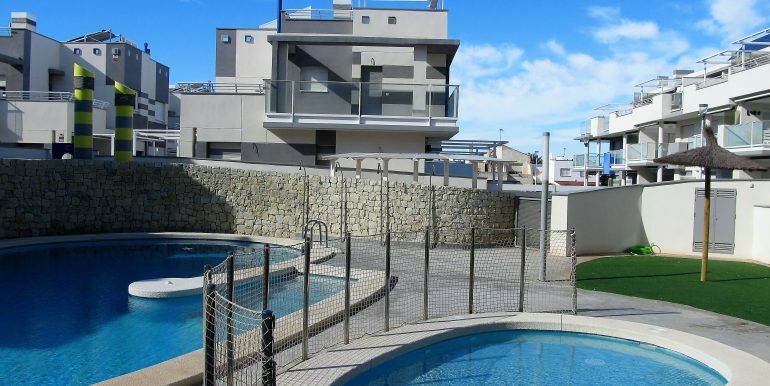 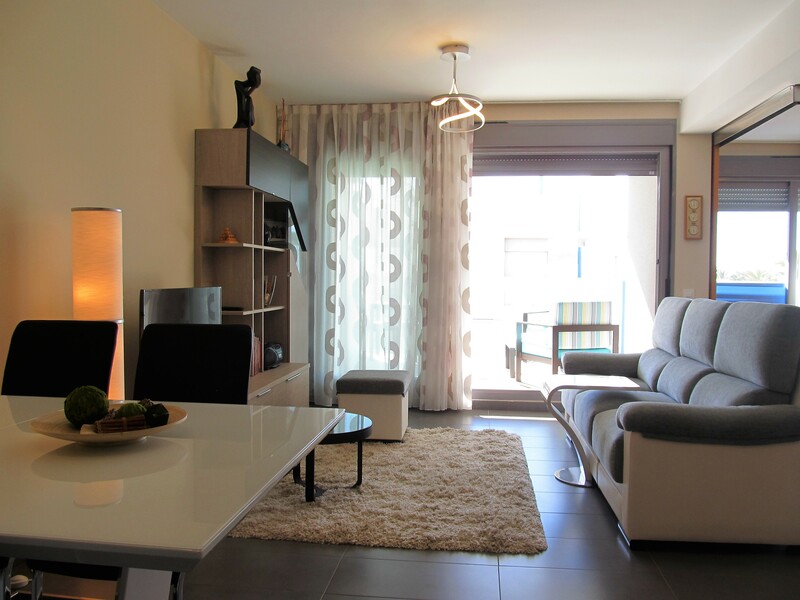 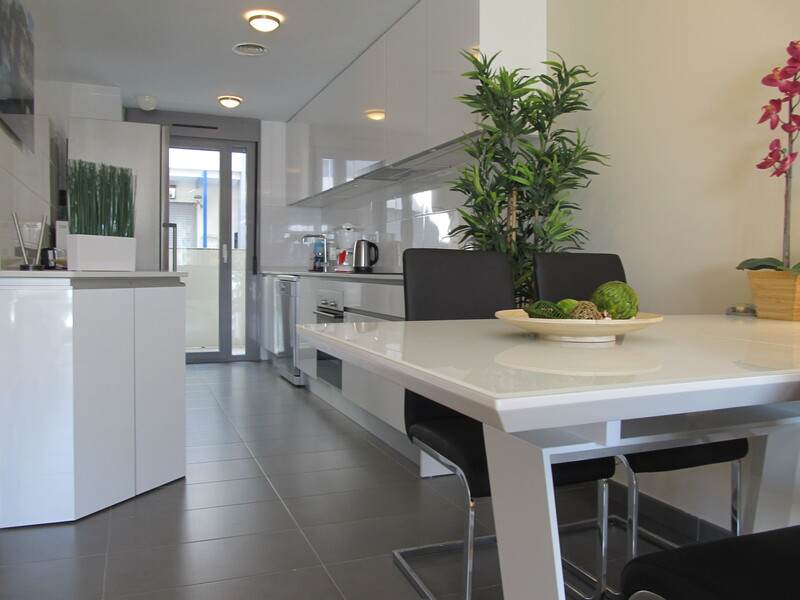 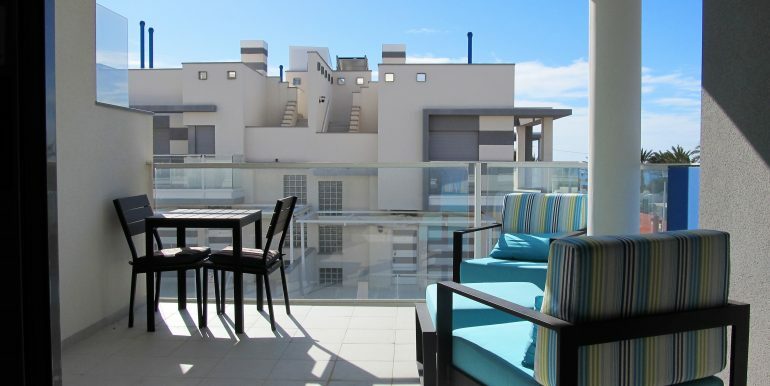 This bright apartment in a new development with community pool is situated in a great area of Cabo de Palos. 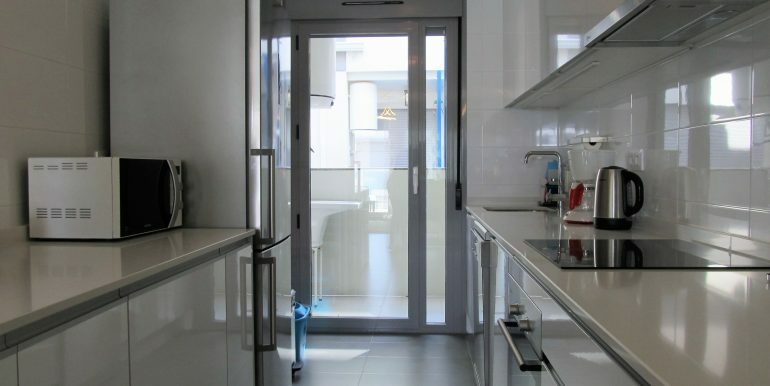 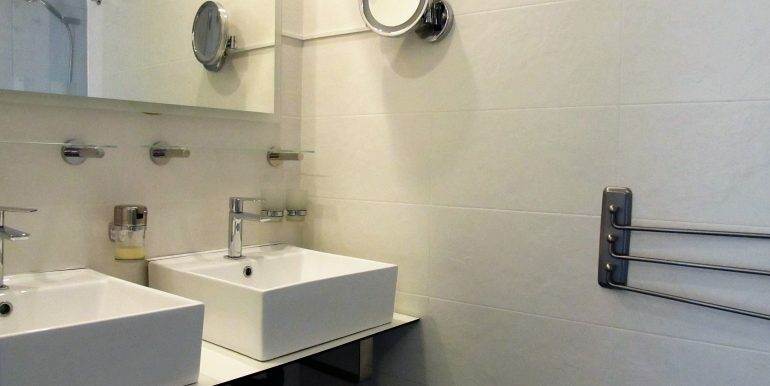 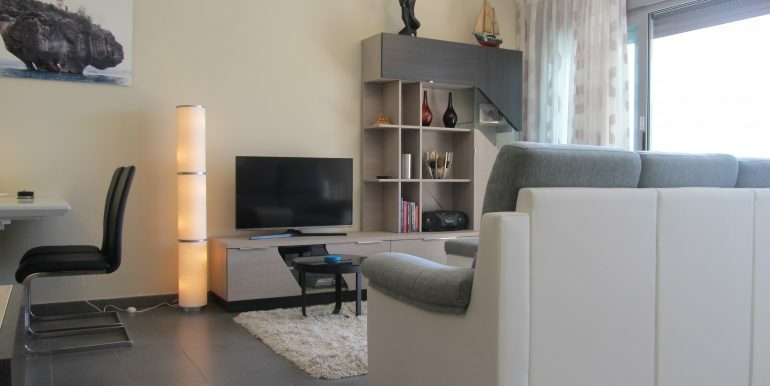 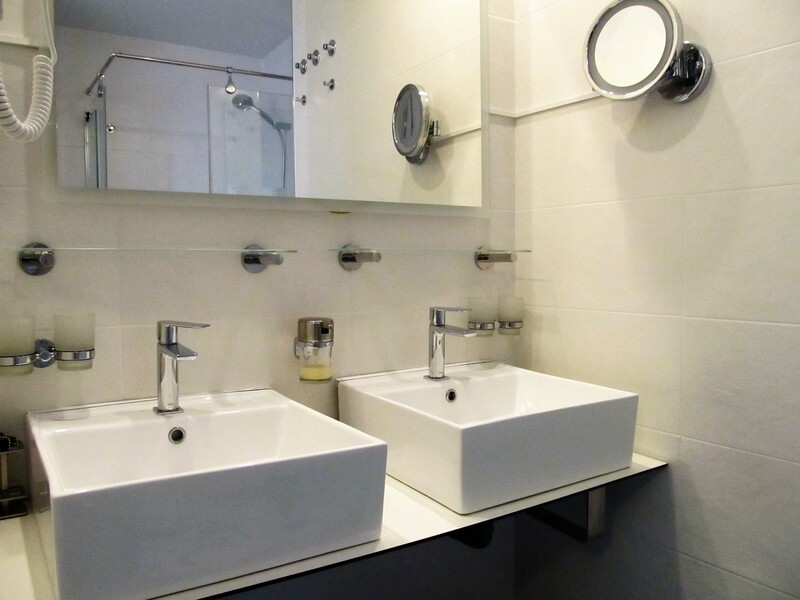 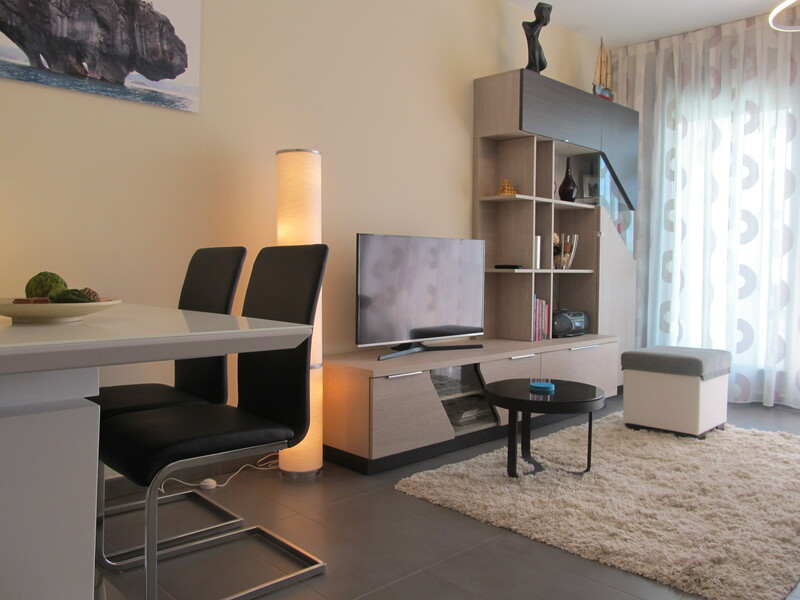 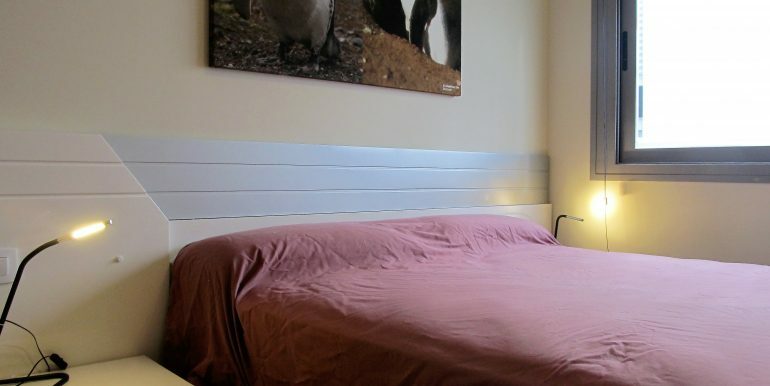 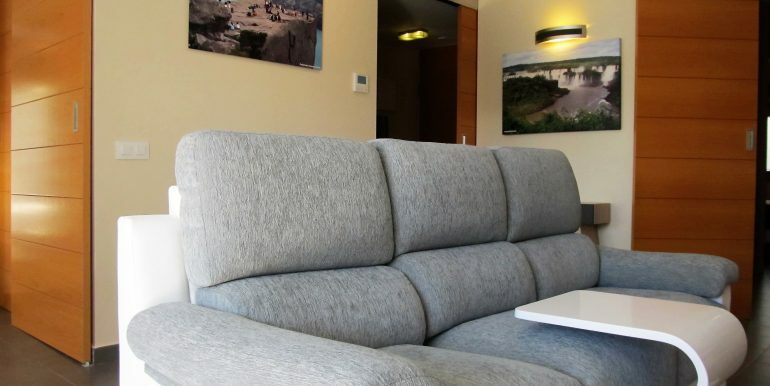 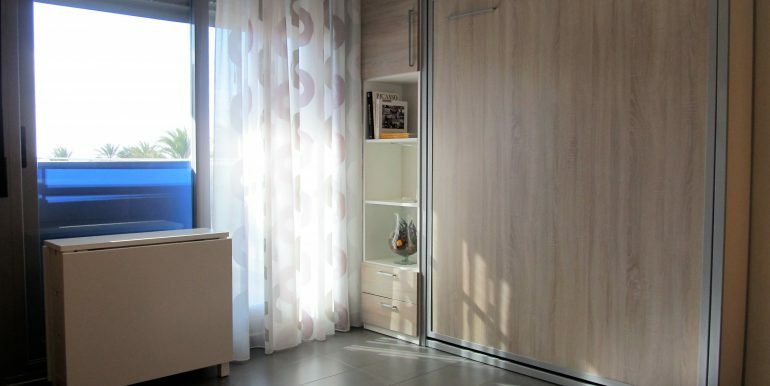 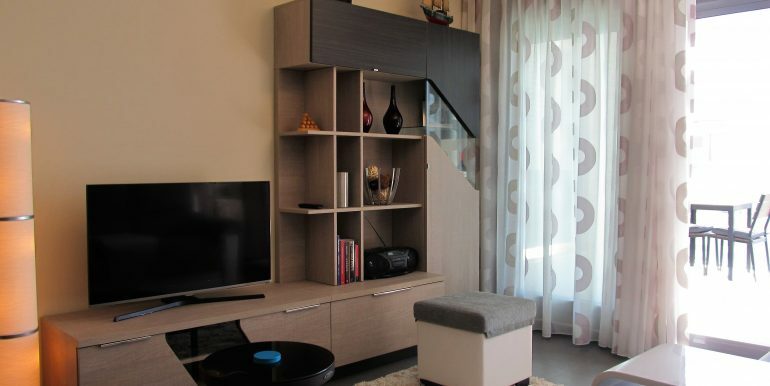 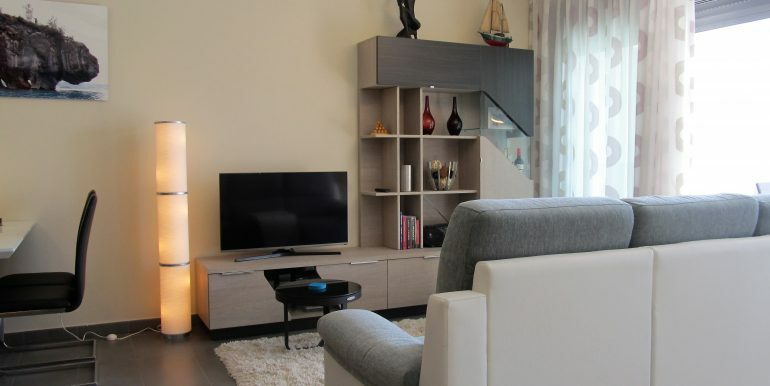 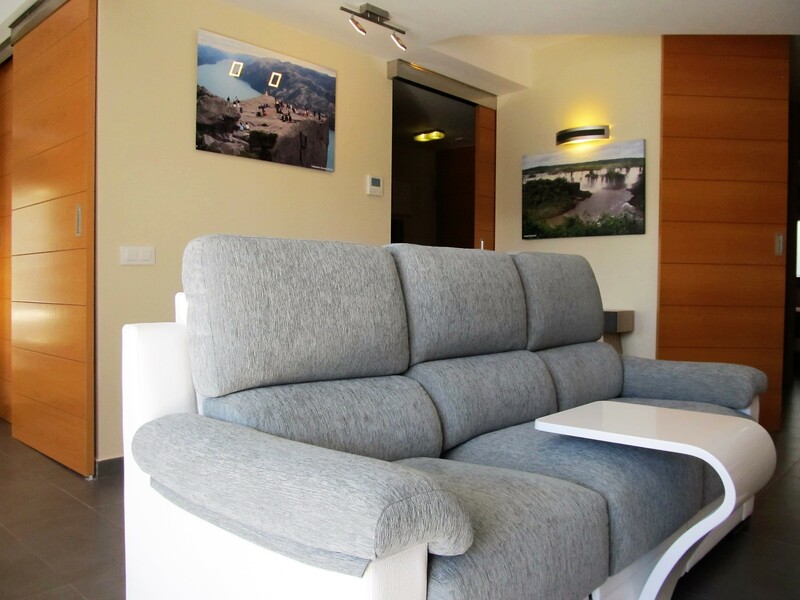 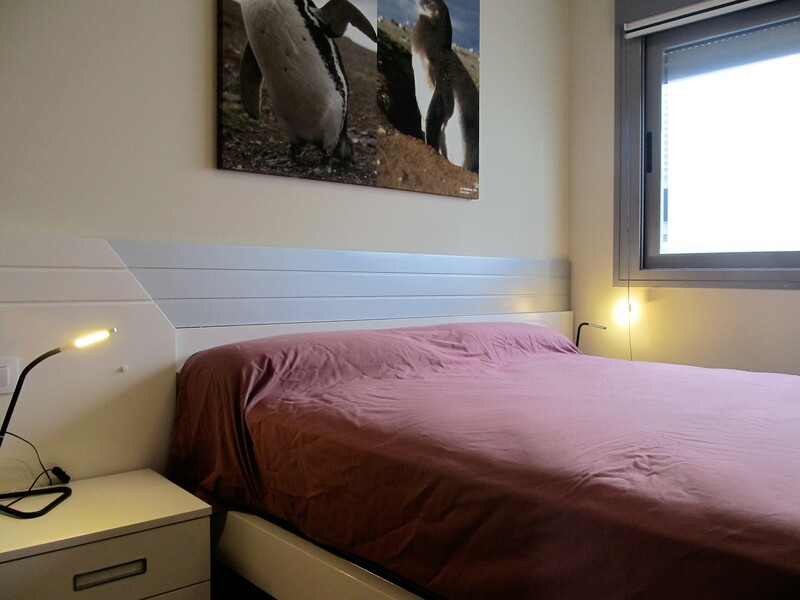 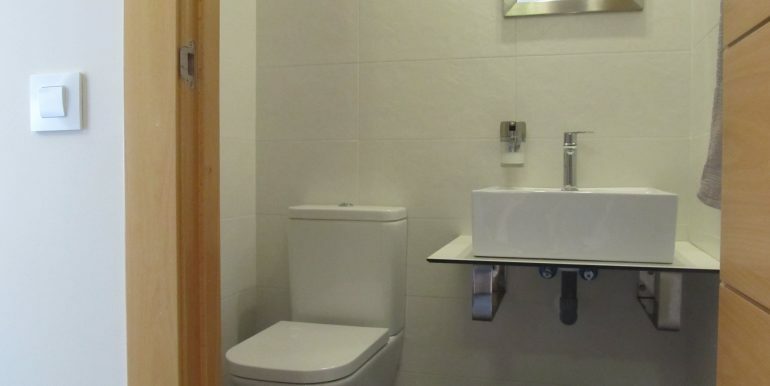 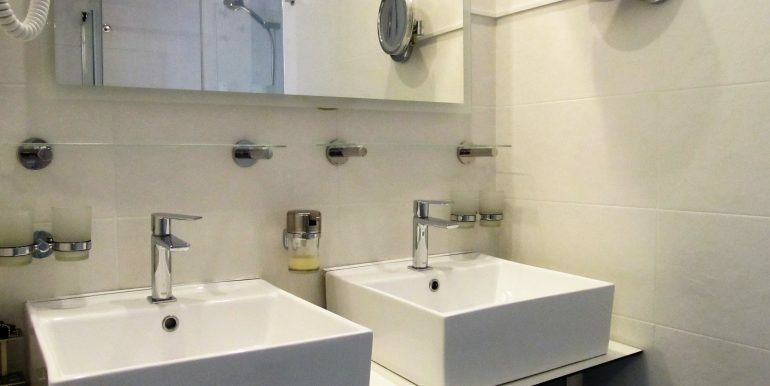 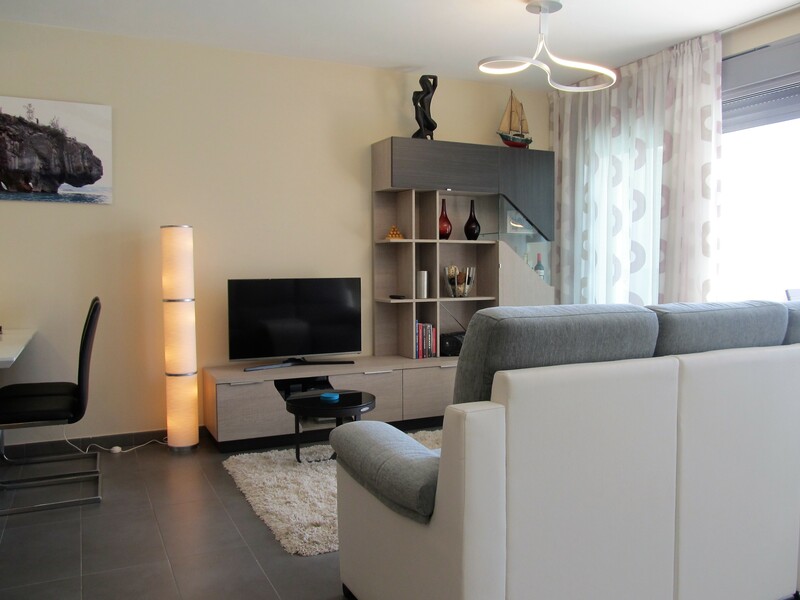 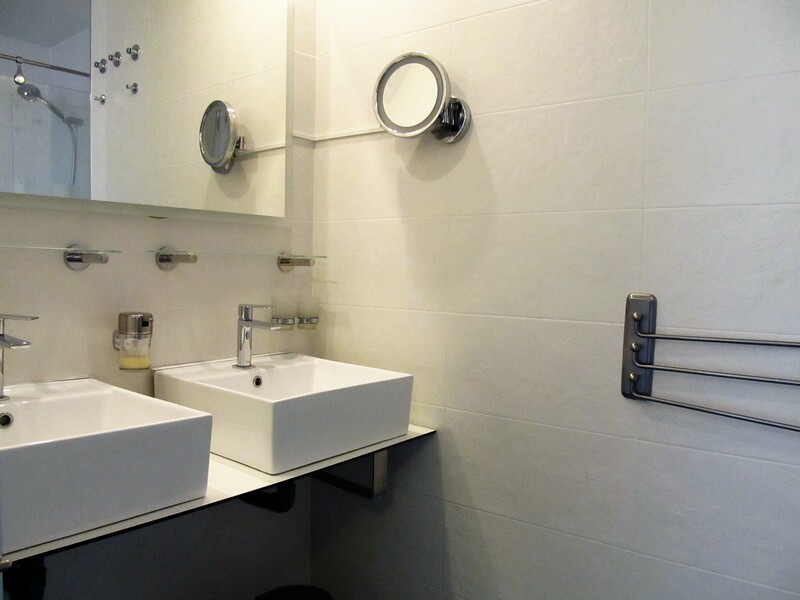 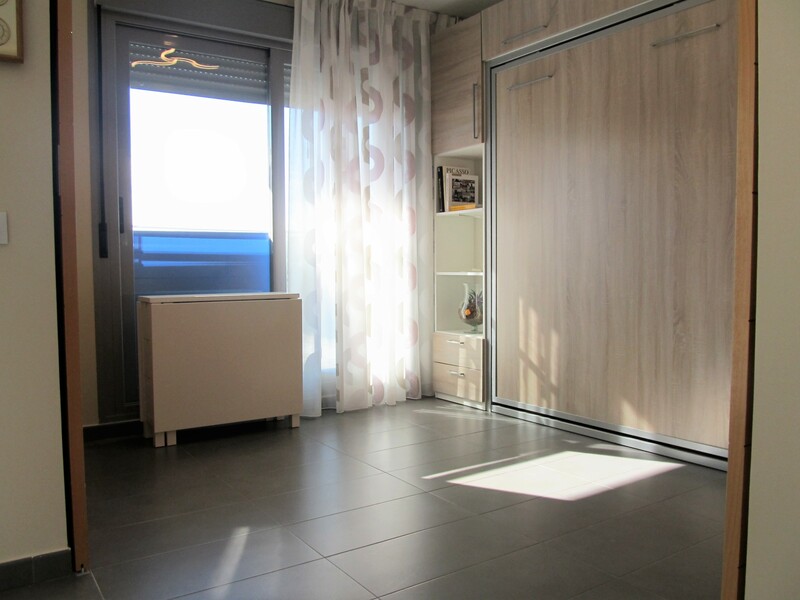 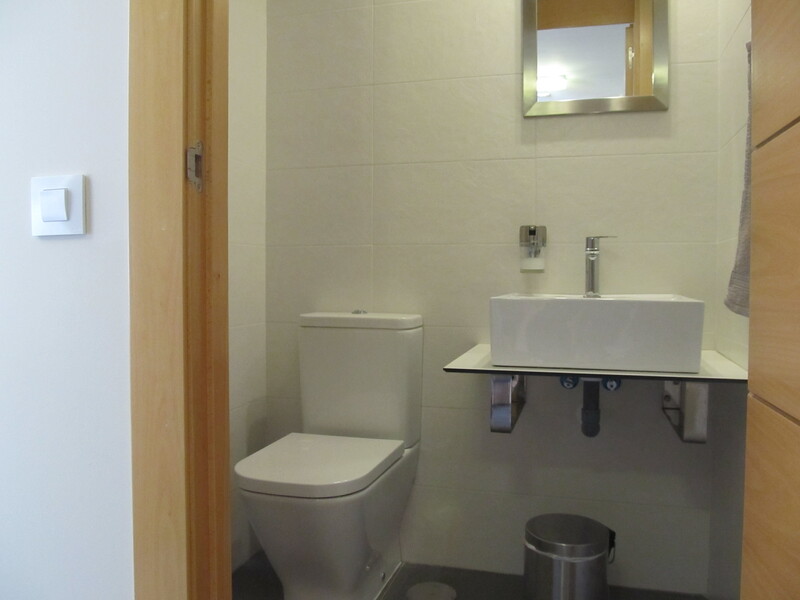 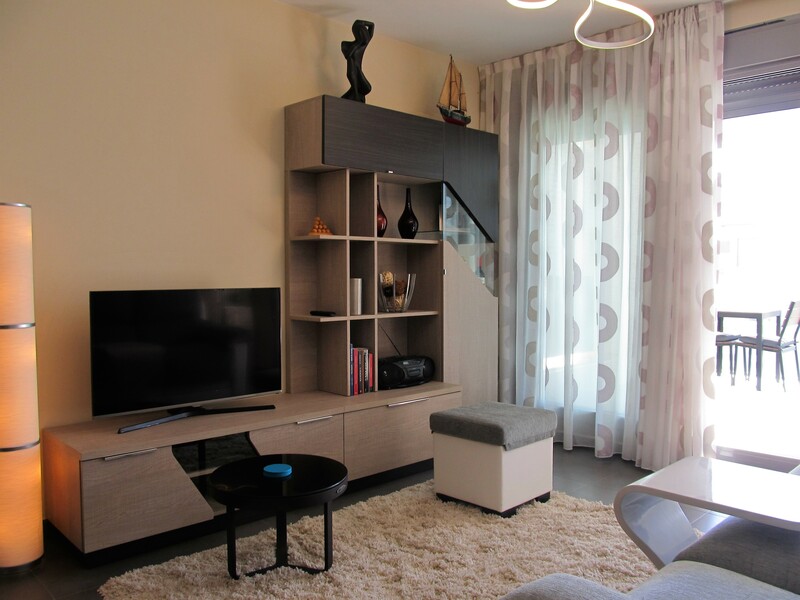 The apartment has got two bedrooms, one of them with en-suite bathroom with walking shower, a toilet, an airy and bright living room with a fully equipped open plan kitchen with galley area. 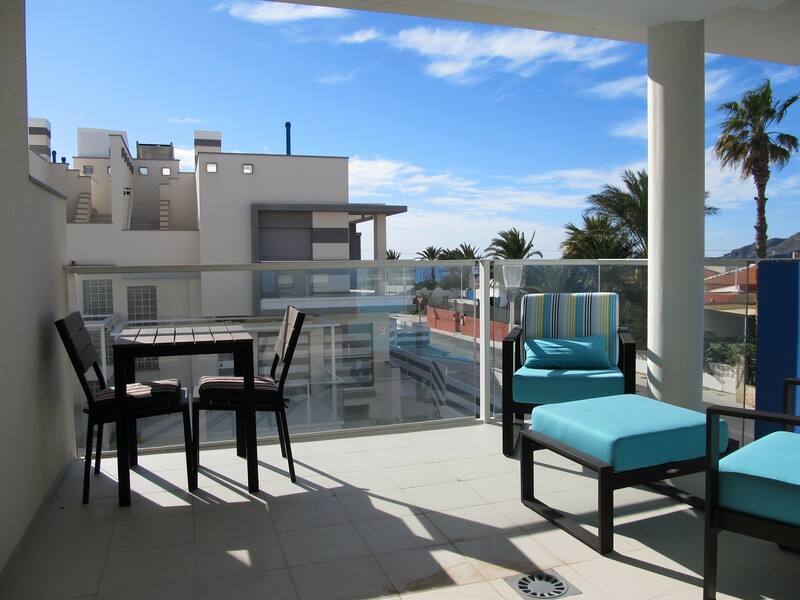 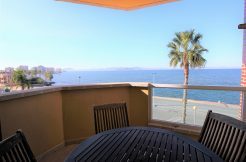 The living room has got access onto a lovely big terrace with sea views. 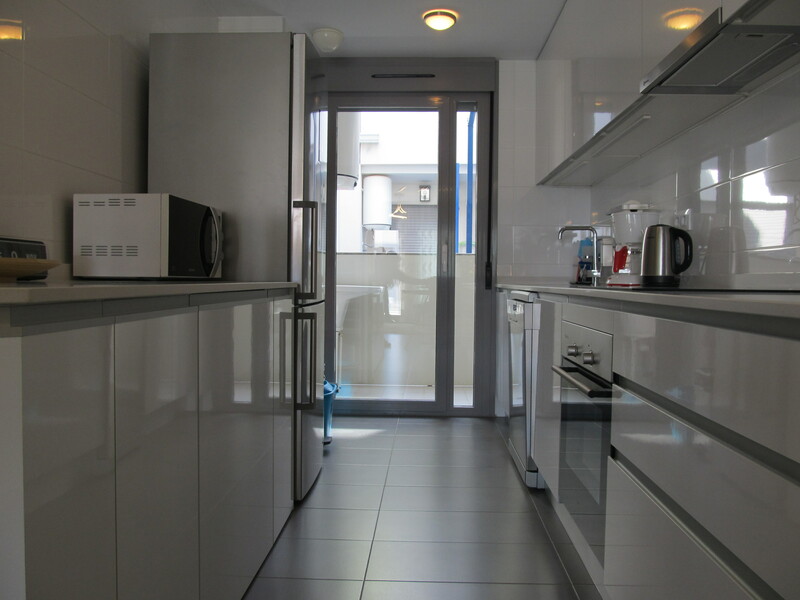 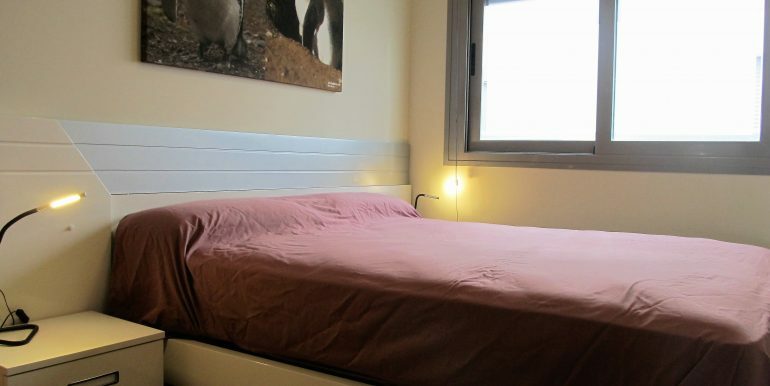 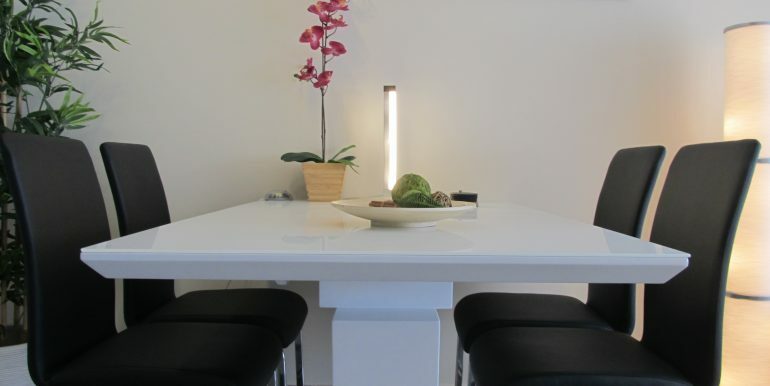 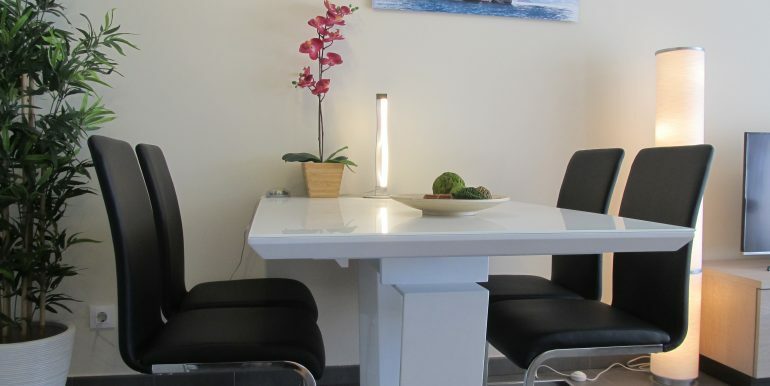 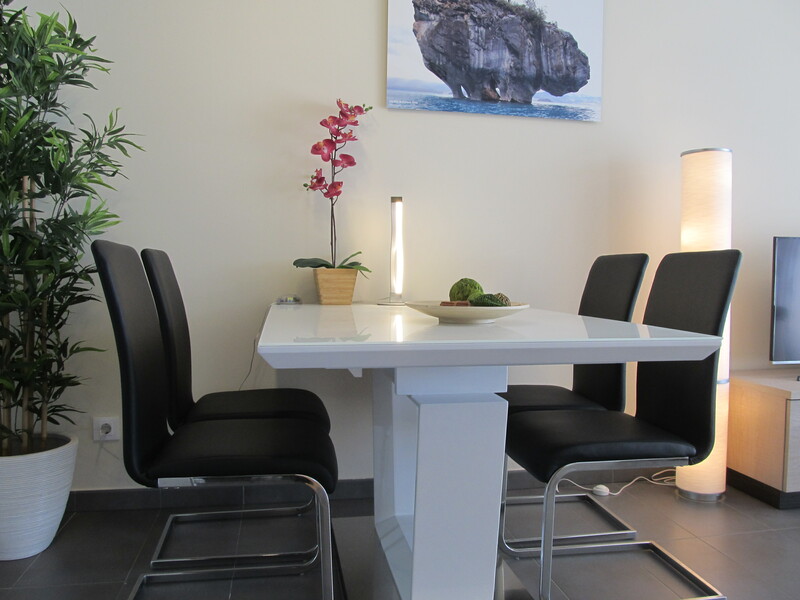 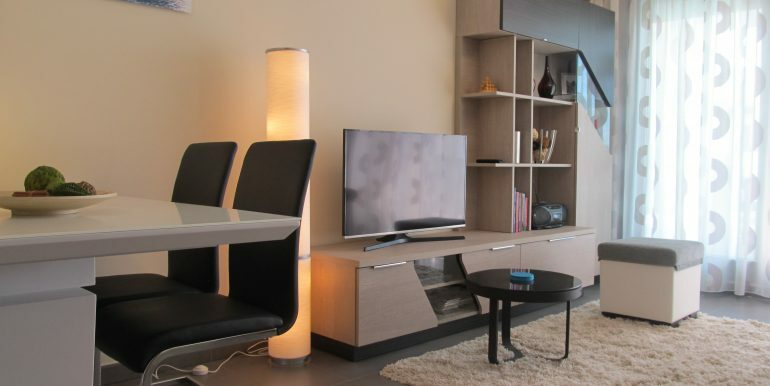 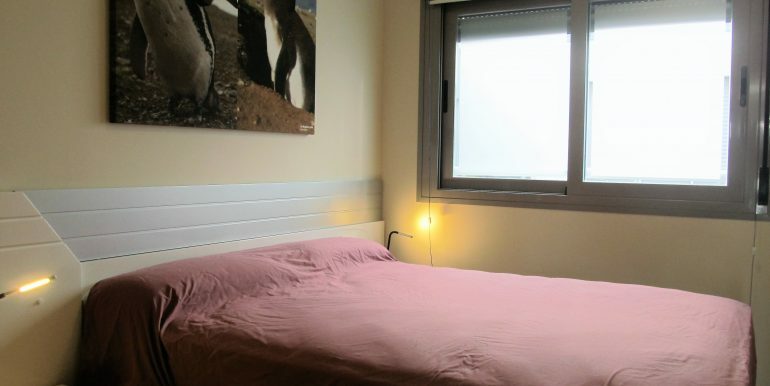 The apartment has got its own garage in the underground parking with direct access to the apartment. 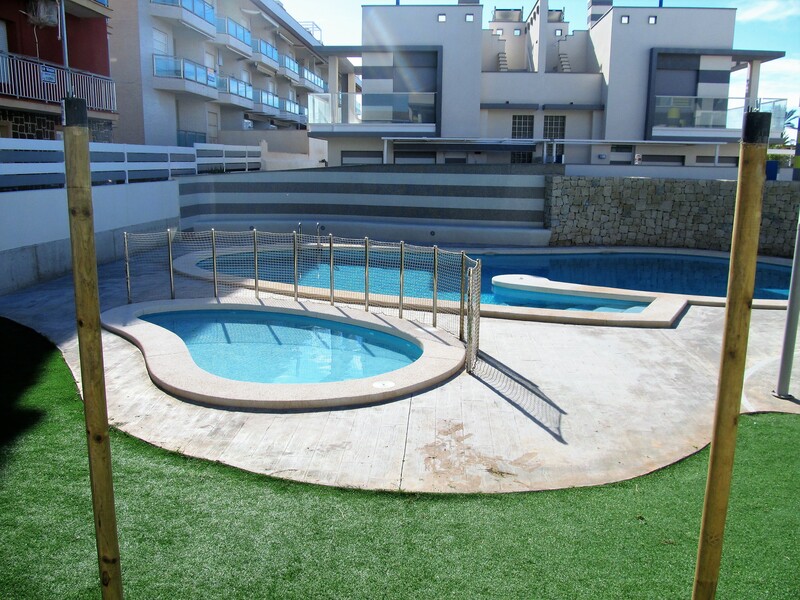 The development has got a lovely communal pool and it’s only two minutes away from the beach. 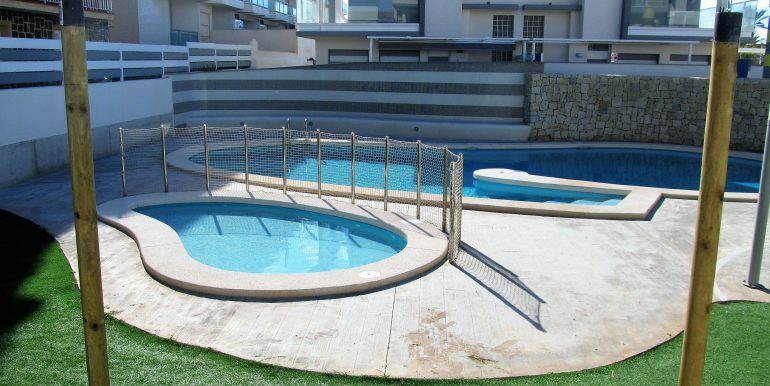 Suitable for 2 people, no pets accepted.